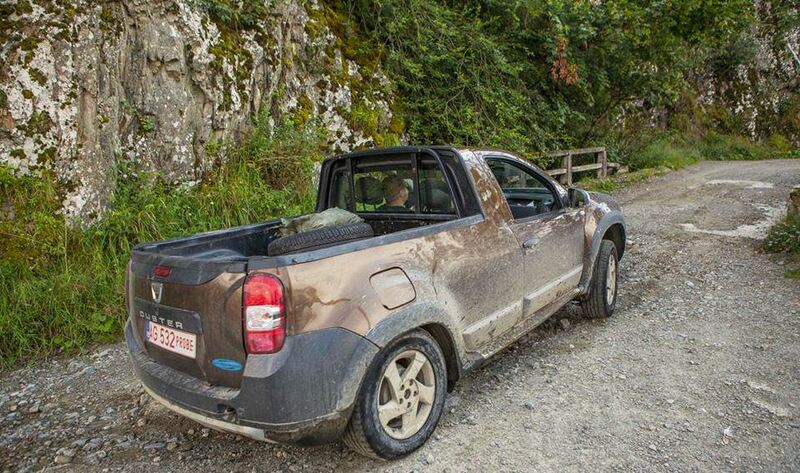 A pick-up prototype of the Duster model from Dacia has been recently spotted in Romania wearing no camouflage. It seems that this car model is undergoing final testing before going into production. It’s an important decision for Dacia since this utilitarian body style could last be found in the first generation Logan from Dacia line-up. Styling-wise, the pick-up version looks similar to its SUV counterpart at the front, while the rear doors have been removed to make room for a longer truck bed which can carry bigger cargo. The Dacia Duster Pick-up will likely continue to be powered by the same engine options that include a 105 hp 1.6-litre naturally-aspirated petrol engine, a turbocharged 125 PS 1.2-litre TCe and a 1.5-litre dCi diesel unit with power outputs of 90 PS and 110 PS. The car will be available with a front-wheel drive or an all-wheel drive. The Dacia Duster Pick-up is expected to be showcased in October at the Paris Motor Show, before going on sale in 2015. 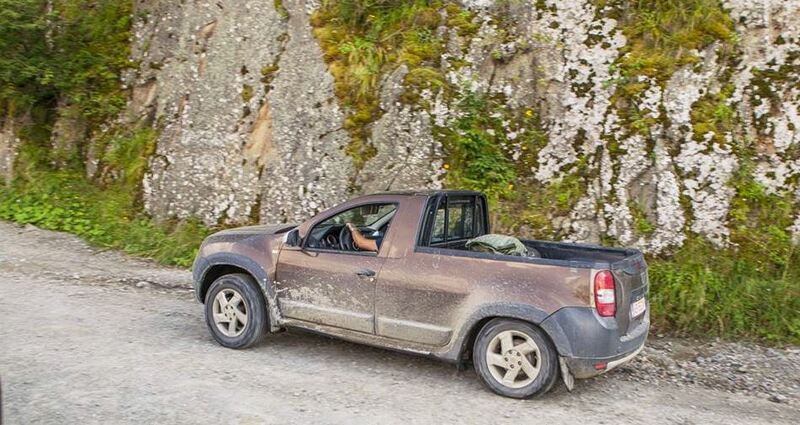 This entry was posted in Dacia, Spy Photos and tagged Dacia, Dacia Duster Pick-up, Duster, pick-up. Bookmark the permalink.